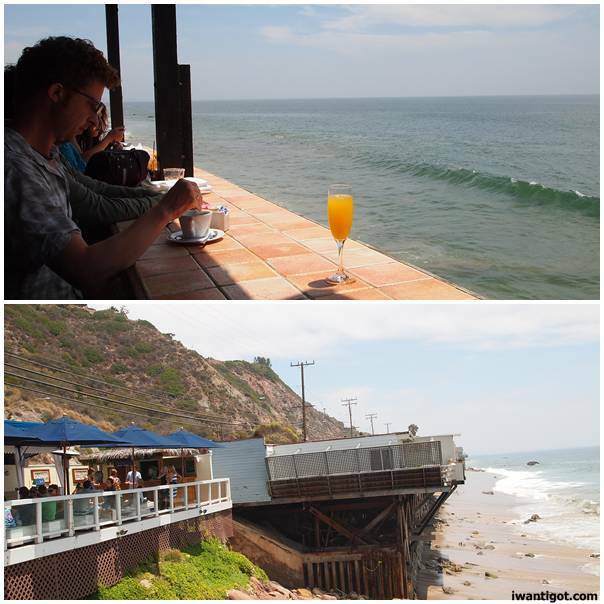 Sunday started out with brunch in Malibu at Moonshadows (20356 Pacific Coast Highway). This restaurant is the most beautiful place I’ve ever eaten at. 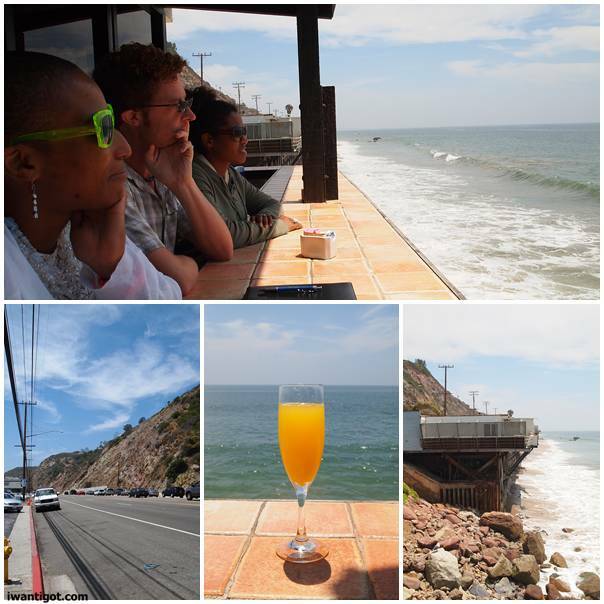 It overlooks the ocean and it takes your breath away. We were dive bombed by very large seagulls at times but it was totally worth it. This spot really solidified the need of oceans and mountains in my life. Moonshadows is called one of the world’s best beach bars and I can understand why. The west coast is calling me big time. I didn’t expect to love southern California but it was becoming apparent that I was drinking the koolaid hard and fast. I love desert weather, Las Vegas exposed me to it and LA perfected it. Santa Monica is a beautiful place with tree-lined streets and non cookie cutter homes. That was something I noticed a lot, homes with individual personalities. I learned there are no basements and wood dwellings are hard to come by. This is apparently because of earthquakes, termites and cockroaches. After brunch it was a trip into Hollywood. 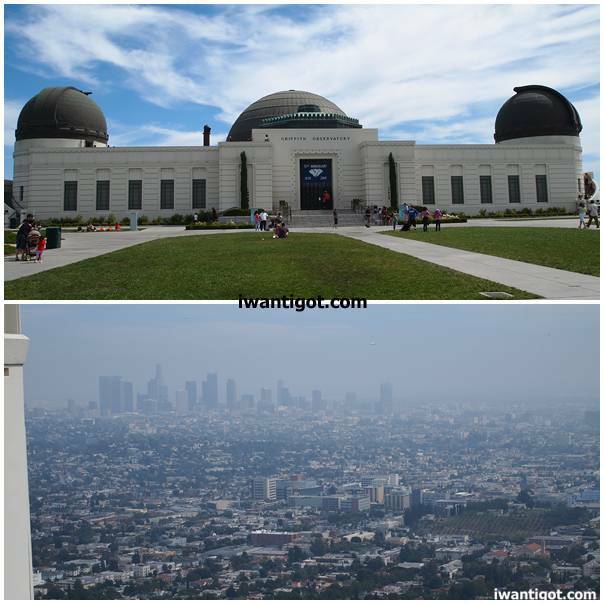 Paul took me to the Griffith Observatory where one of my favourite movies of all time was filmed, Rebel Without a Cause. There is even a bust of James Dean on the property. 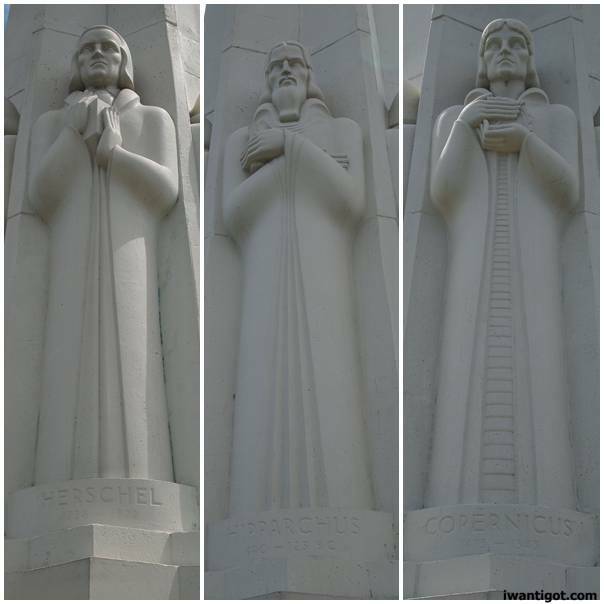 The Observatory sits 1,134 feet above sea level on the southern side of Mount Hollywood in Griffth Park. You get great views of LA. The Observatory is very popular for tourists and hikers as there are trails that allow you to explore the hillside in Griffth Park. 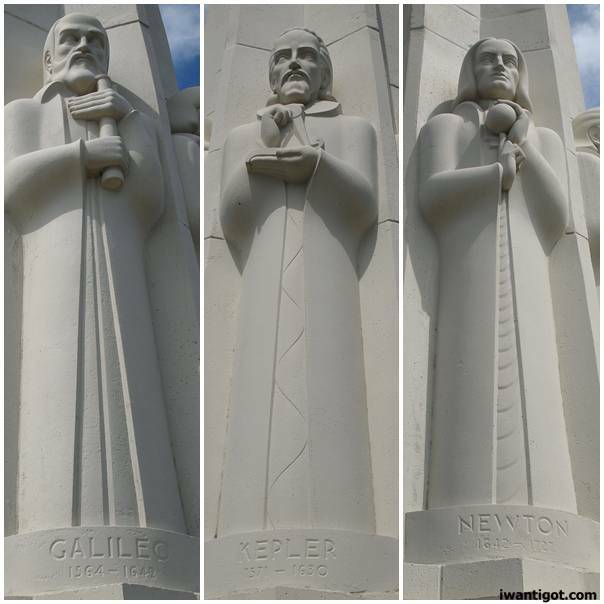 The Griffth Observatory has some great features like the statues to Astronomy’s fathers which I totally nerded out over.Â There is a sundial, that of course, keeps excellent time. After the observatory it was time to take a trip down Hollywood Blvd and check out the Kodak and Chinese Theater. The entertainment aspect of Hollywood is the only thing that turns me off of the place. Hollywood Blvd was a great example of that. It was chocked full of tourists and typical cheesy stuff like getting your own star on the walk of fame. It was interesting to the see the hand and footprints from celebs though. I was most interested in old Hollywood and cringed whenever I heard “Who is that?” from some ignorant tourist. Who is that to Rosalind Russell, are you KIDDING ME!!! The ride back to Santa Monica had a few sights: Fairfax high school where the Red Hot Chili Peppers met (This is important to the teenage RHCP fan me listening to Fight Like a Brave and professing my love for Anthony Kiedis); Melrose Ave which I didn’t stroll down :(, the diner from Pulp Fiction and the CBS studios. The night was low-key as Paul and Lauren were working the next day. It was Monday after all. So we had dinner at a very excellent organic vegan restaurant called Real Food Daily. I had the Ceasar salad with Tempeh bacon and a Red Hed Juice (Beet, carrot, celery, apple, ginger). I’m told the desserts are also very good here. I spend the rest of the night tearing through The Girl with the Dragon Tattoo. I became hooked after reading the first chapter one morning. It was sitting on the coffee table and I was wondering about the hype. My review: Good book but not a great book. I liked the characters a lot and the ending was twisty enough that I didn’t discover the whole plot before the reveal. Monday would be my last full day in California and I was going to spend it at the beach.